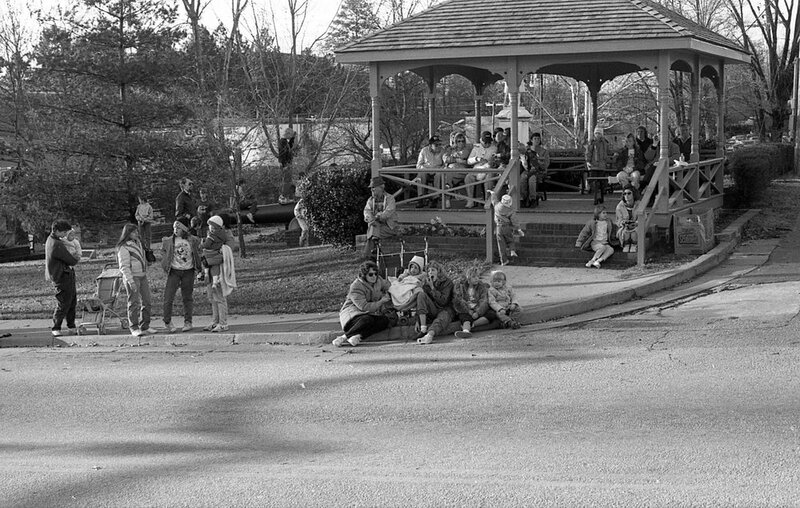 Circa 1980s - The Fort Mill Times reported on Aug. 18, 1910 - "There is a decided improvement in the appearance of the park, since the town a few days ago, invested in ....having the hedge trimmed and the grass mowed." 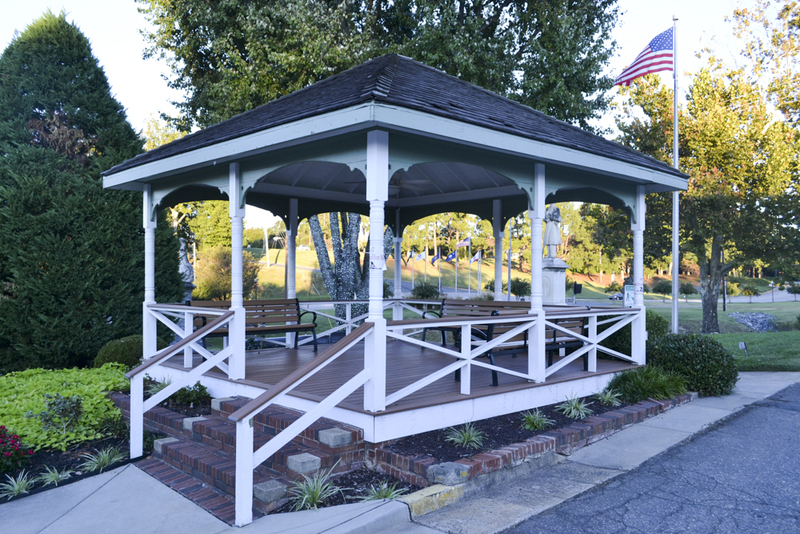 The Bandstand in Confederate Park was built in 1900 with municipal funds left over at the end of the mayoral administration of W.B. Meacham. 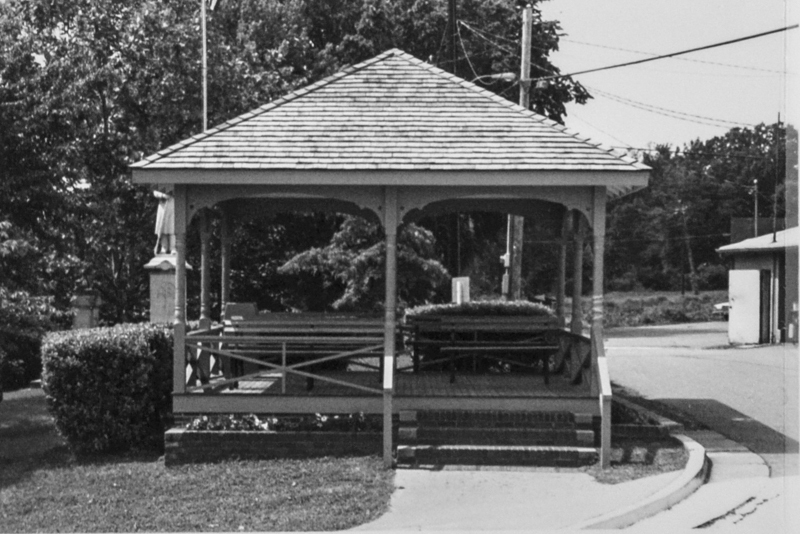 Town regulations required any surplus funds to be spent before a new administration took office, and Mayor Meacham used his $50 surplus to fund the building of the bandstand to solve a longstanding problem. Town Hall at the time was right across the alley in a building that sat where the lawn and deck area for Hobo's restaurant is now located. 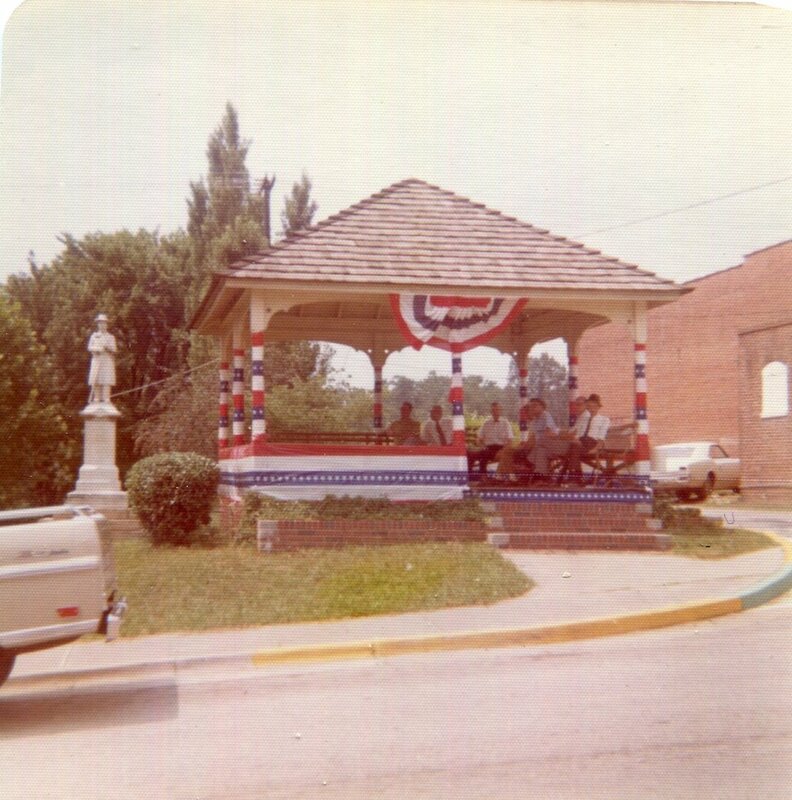 Along the side of Town Hall was a long covered porch where local men used to sit and whittle to pass the time. Unfortunately, many of the men were avid tobacco chewers, necessitating the need for regular spitting. The combination of tobacco juice and wood shavings made for quite a mess on the mayor's front porch. He thought the $50 could be best used to building a new structure where the men could engage in their pastimes and he could finally get the spitters off the porch. The Fort Mill Times reported on April 14, 1910 - "The first S.C. built automobile was seen on the streets of Fort Mill Saturday afternoon. The automobile, a Rock Hill 30, was the output of the Rock Hill Buggy Company, which recently began the manufacture of gasoline buggies. It is said to be one of the biggest and handsomest cars in the country."